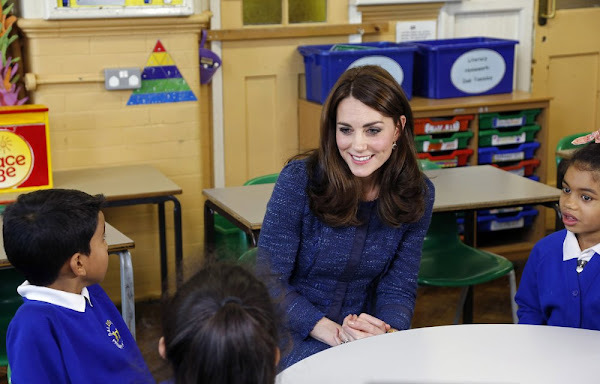 Catherine, Duchess of Cambridge has urged Britain¹s schools to do more to provide emotional support for children to give them the resilience to cope with life¹s challenges. The Duchess of Cambridge has voiced her belief that the nation's children should be "supported through difficult times in their lives" in a video message recorded to mark Children's Mental Health Week. 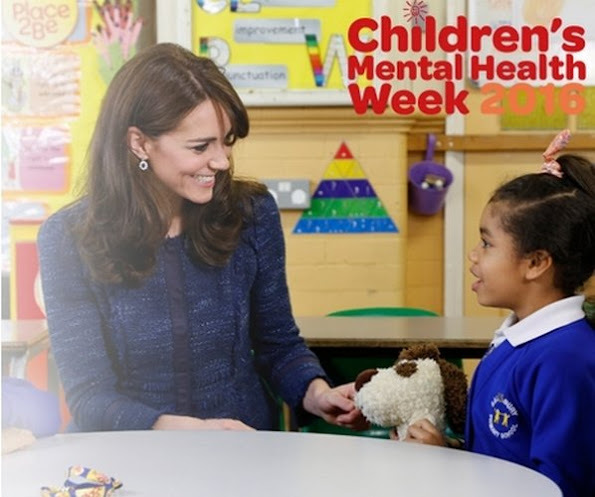 Catherine, Duchess of Cambridge is the royal patron of the children's mental health charity Place2Be and in her message she highlights the importance of giving youngsters the "tools to cope, and to thrive" as they encounter life's challenges. "This Children's Mental Health Week we want to support schools to prioritise the emotional wellbeing of their students, alongside academic success. By ensuring every child is given the emotional support they need, we are giving them a firm foundation for the happy healthy future they deserve. Many of us are incredibly fortunate that the issues we face in childhood are ones we can cope with and learn from. But for some children, learning to cope with life's challenges can be a struggle," she continues. While we cannot always change a child's circumstances, we can give them the tools to cope, and to thrive. With early support they can learn to manage their emotions and feelings and know when to seek help. Through my work in areas like addiction, I have seen time and again that the roots of poor mental health in adulthood frequently stems from unresolved childhood issues. This needs to change." 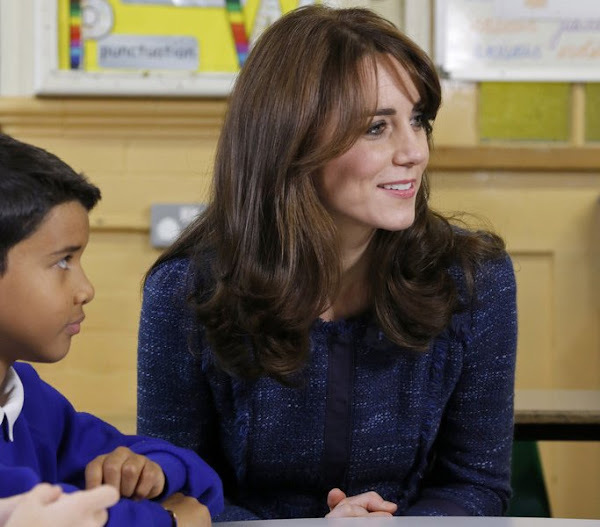 The Duchess, an advocate of early intervention to resolve childhood problems that often become much bigger ones in adulthood, recorded the message in her role as royal patron of the children’s mental health charity Place2Be. The Duchess wore Rebecca Taylor Suit Dress. The Duchess first wore the jacket and skirt in April 2012 for the Scott Amundsen Centenary Race to the South Pole and more recently in New Zealand in 2014. The suit is from the designer's Pre-Fall 2012/2013 Collection. She spoke with real passion on the subject ! And she seemed quite at ease with the children ! She looks very relaxed with children. Talking is clear. Good work. I think this is a worthy activity for the duchess. My comment is on the outfit which is appropriate but was gotten before she had things made to fit her long, lean body. The jacket is much too short. Maybe, if they have fabric remaining, another could be made that fits her well. I love the color, texture and style - just not the fit! Blondiini - I ignore the TROLLS and don't feed them. 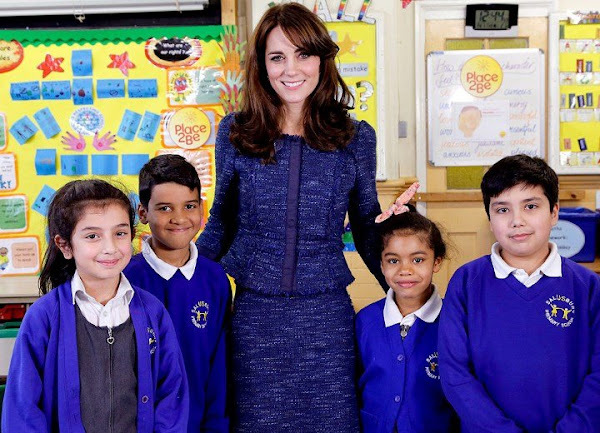 We all know the Duchess is doing effective work with her patronages. Very proud of her proactive role in children's mental health and stability. That is a bit exaggerated now - for my liking. "WE" all don't know at all! She normally does no super jobs, but here in this case, she deserves credit. As for the outfit, it's her problem, that she has a VEEEEEEEEEEEERY long torso and actually super short legs. They try to retouch this with her clothing and her sky high shoes, but sometimes they simply fail. Catherine and super short legs, you must be joking. Take any picture you find when there is woman standing with her, her legs are about half meter longer every time. Every royal lady we are watching is having same kind high heels, even pregnant Swedish ladies. But of course this high heel thinbg is only negative when catherine is having them. Gosh! Are you blind? That IS the miracle of fashion to blend out and to accentuate. Look at her in flat shos and then it's obvious. She has an extreme long torso and compared to that VERY short legs. The long leg-effect is created by her dresses and the heels. I work as a stylist and I now what I am talking about and moreove I have EYES! It´s strange that so many people choose to be a stylist. I really think people are so silly. They spend half of their lives' searching for the beauty of the world when the beauty is within them. The world doesn't make you beautiful, you do. ...and you seem to be some kind of a hobby-psychologist?! She is just doing her job. Well done, hopefully not only for words. I do no doubt a second that it is of course a special setting and not spontaneous. But I really think in moving pictures she looks more easy with children and much more involved. She speaks softly to them and interested. I didn't expect that. Firstly, I would like to say I think mental health is a very important issue and one that should be talked about publicly. I think Kate spoke very well, and I am sure she is sincere. I am quick to say "I wish she would pull her hair back" but I generally don't like commenting on someones weight as that is too personal, however is it me or is Kate getting thinner and thinner? She has always been slim. I think she lost weight for her wedding, however she looked healthy after Prince George was born, but since Princess Charlotte was she seems to have been shrinking. To me Kate looks smaller, as though she is hunching over and as though she has lost quite a bit of weight, too much weight. I know it is "fashionable" to be skinny, but sometimes it just looks scary and worrying! Well done, Your Royal Highness! Great video! I hope it will help to break a stigma around mental health. PS: What did she say after "Sometimes"? I'm not a huge Kate fan but I thought she spoke eloquently and passionately on a topic that is incredibly important. She was appropriately dressed for the occasion and when talking about such serious issues I personally believe fashion should take a back seat. Well done to her! But we were referring to a comment, which said that the jacket is much too short. I only wanted to point out the reason why! Her body is long, her legs are short...and yes the Queen of the Netherlands isn't a model....so what? So the only subject that matters is the height of the Duchess torso and legs...Very intelligent topic indeed. Mostly it's about fashion. The Duchess is not known for being an intellectual.